Botanical bath soak is a good way to end the day. Filled with relaxing and soothing rose petals, lavender and chamomile flowers and rounded off with uplifting spearmint leaves, rosemary sprigs and juniper tips. This potent herbal tea with the addition of sea salts and epsom salts helps to neutralize toxins and draw them out of the skin and away from the body, quite literally soaking the cares away. This listing is for one single use bag. 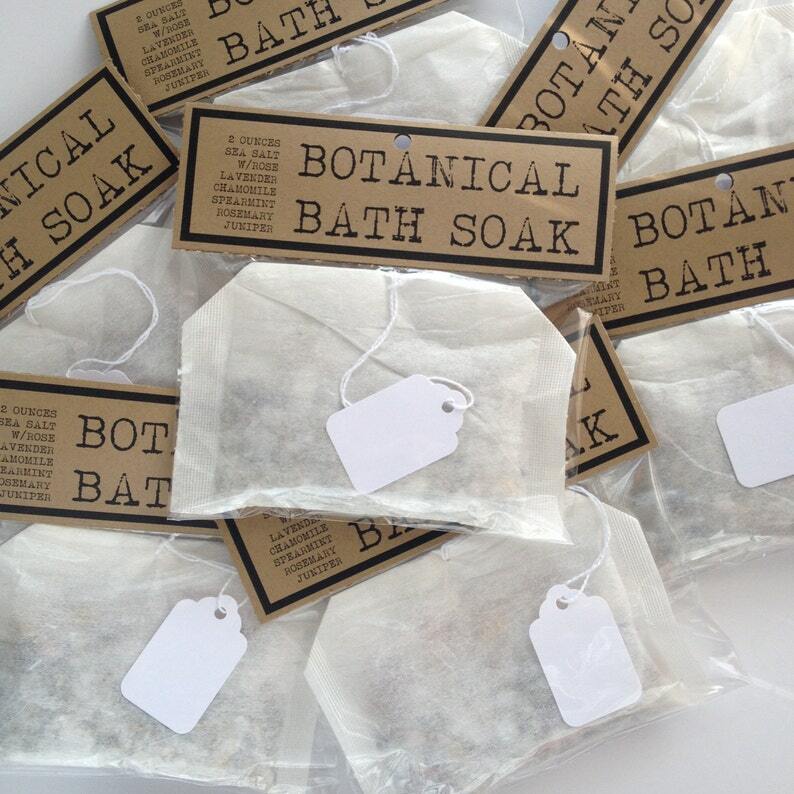 Each bag is an over sized tea bag, used to contain the loose botanicals, making it a no mess, no fuss way to enjoy your soak with minimal cleanup and ease of use. Each bag is meant to hang from the bath spout or simply float in the bath water.